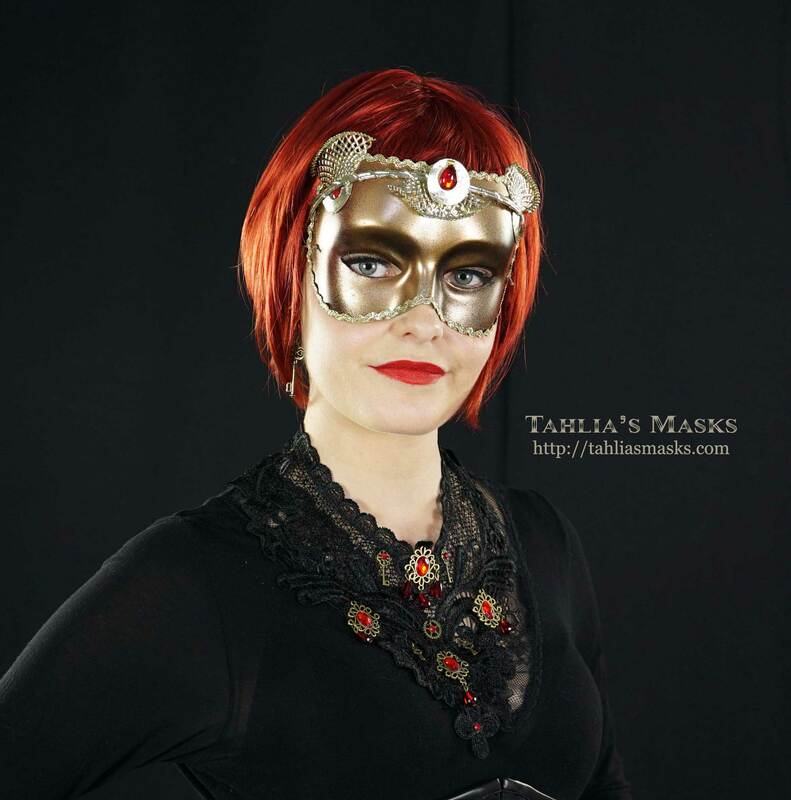 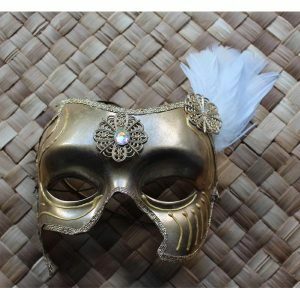 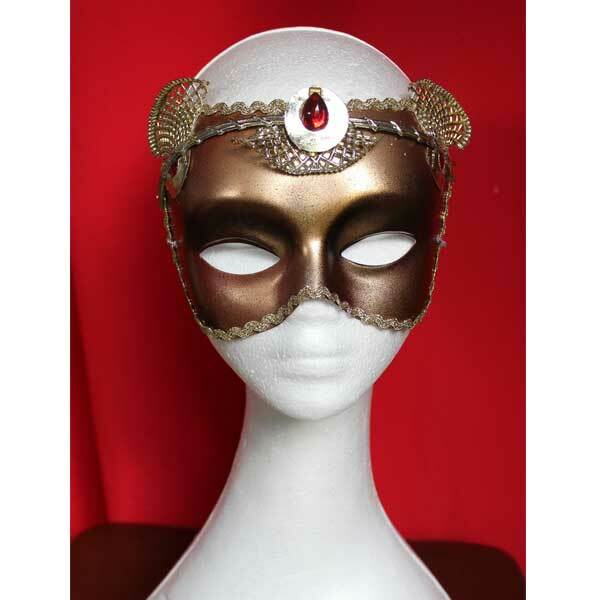 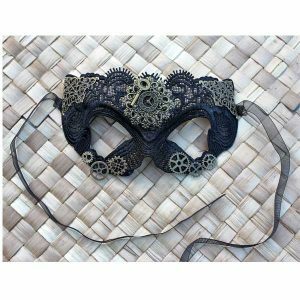 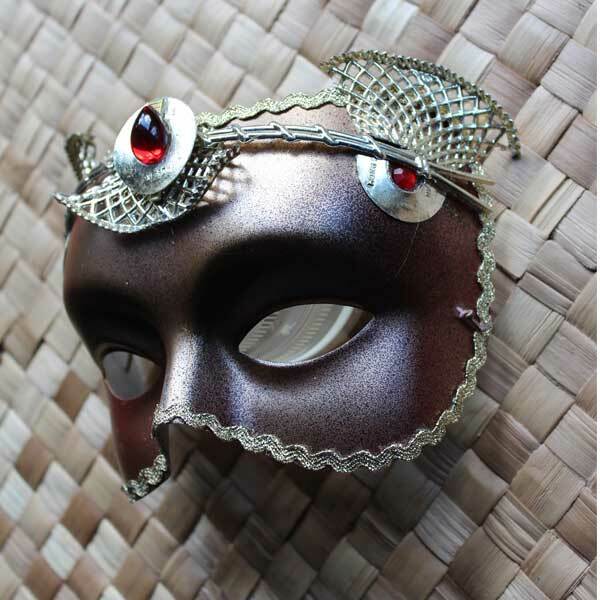 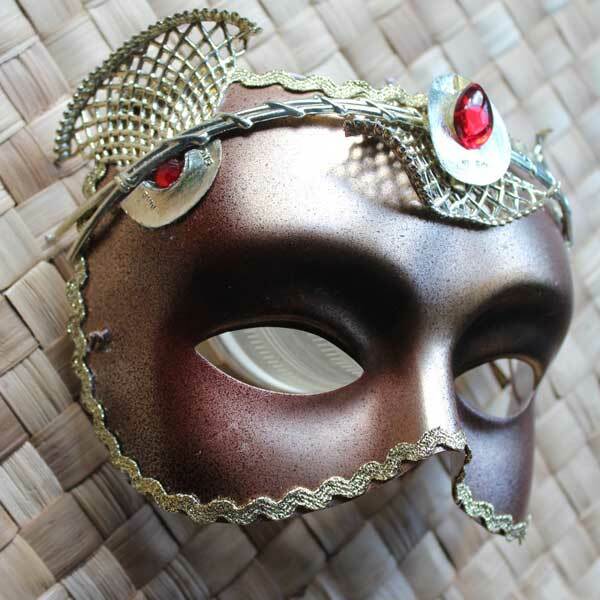 This unique masquerade mask is a one-only design handcrafted out of a painted plastic base and found plastic decorations with red diamontes. 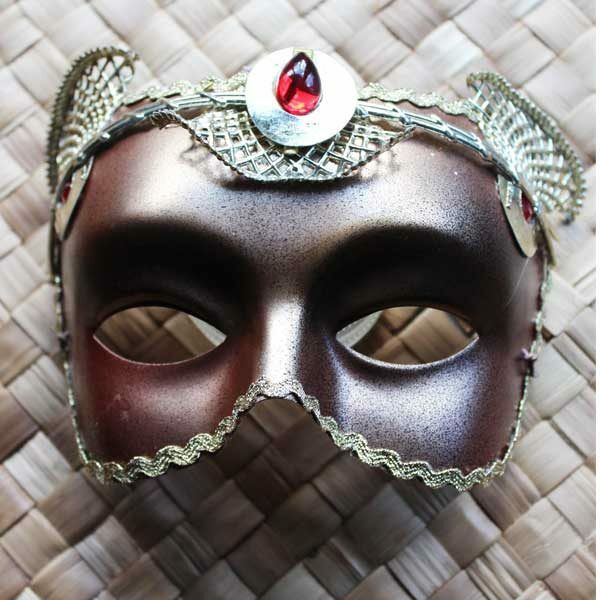 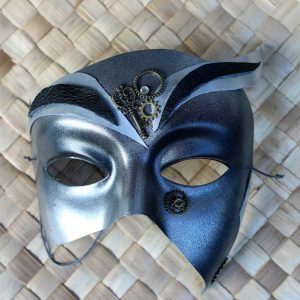 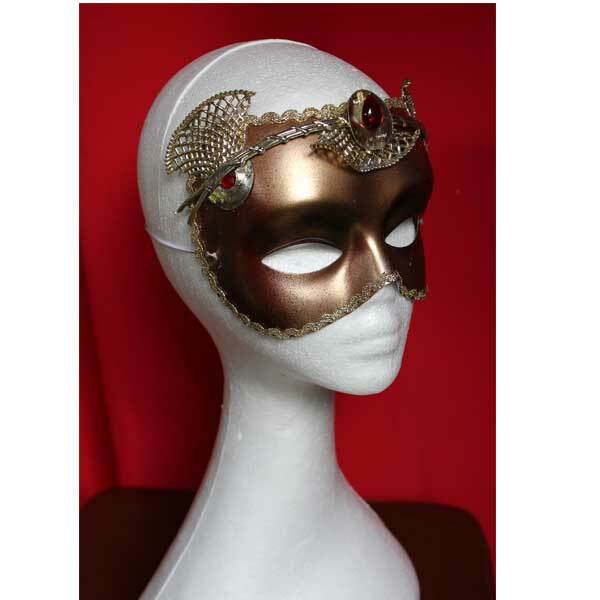 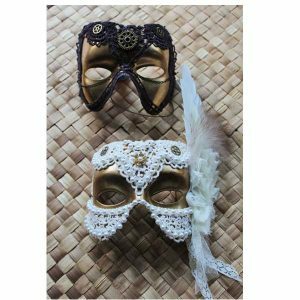 It’s perfect for an Aladdin, Egyptian or animal themed masquerade party. 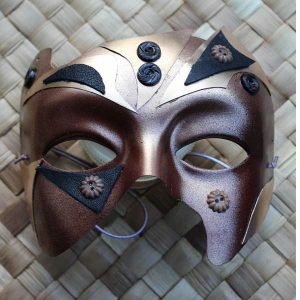 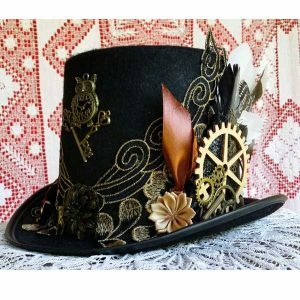 The gold decorations suggest cat ears. 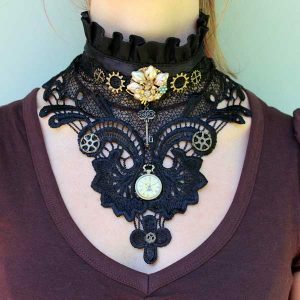 It certainly has a feline grace about it.